We appreciate it. 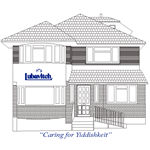 Lubavitch of Edgware is a branch of Chabad Lubavitch UK, a charity registered in the UK, registered charity number 227638. A copy of our annual accounts is available on request. You may use our secure on-line facility to make your donation. If you wish to use a cheque or charity voucher (charity vouchers for donations only), please make your Cheque payable to "Lubavitch of Edgware" and post it to: 230 Hale Lane, Edgware Middlesex HA8 9PZ.